I don't know if anyone else has seen one of these before? I find them very useful to store my fresh water and grey water hoses which I keep in the gas locker. They are quite easily loaded - as you feed the hose into the bag the hose 'catches' on the mesh of the bag and then rotates as the hose is fed in. 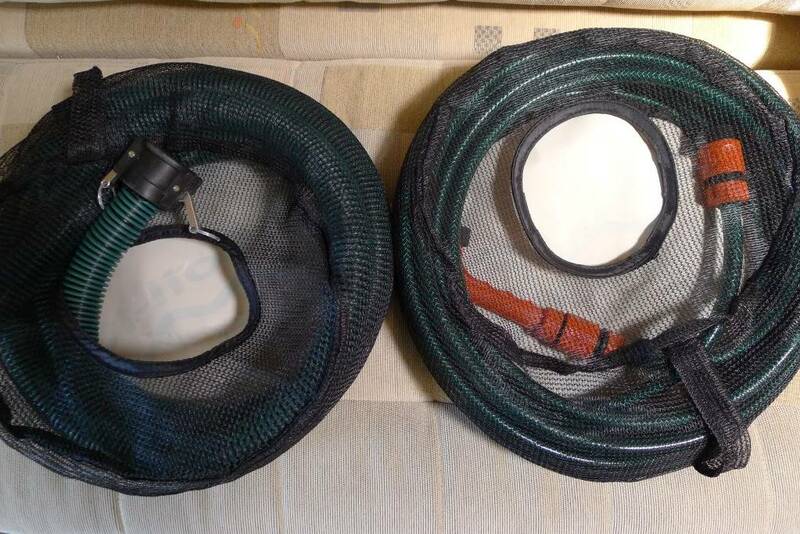 They are cheap to buy and will take 30m or more of standard 12mm garden hose, or the larger grey waste types. Unfortunately, I cannot persuade them to work with my mains cable! Can't say that I've seen these in the UK. Great idea maybe an export opportunity. 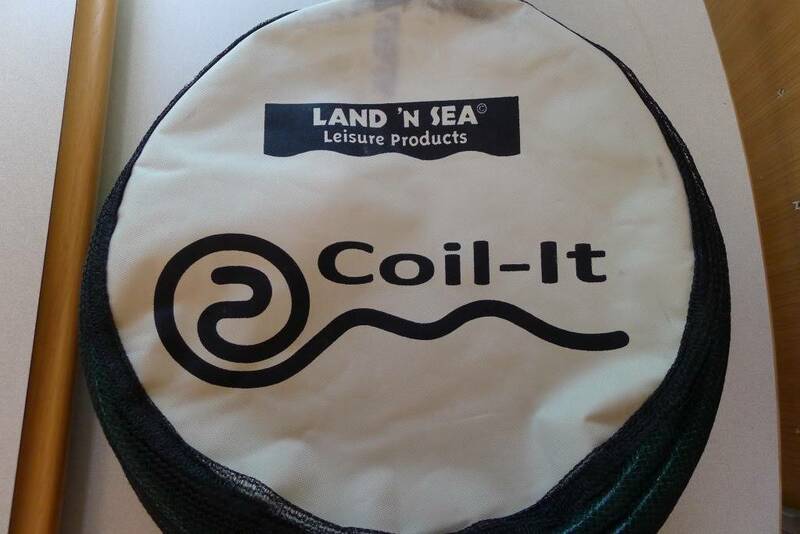 The man that makes these and sells them for 15NZD each at motorhome shows may be interested in this. I will mention it to him next time I see him. We are in Auckland next February, visiting our son. Are there any shows taking place then in NZ that they will be exhibiting at? Or does he have a shop we can call in at? We have just had our motorhome show in Auckland. The next closest one will be in Hamilton, in March. What date is the Hamilton Show, as we may be able to visit. but it will probably be in late March. It is always held at the Claudelands showgrounds, not far from the Hamilton CBD. Motorhomes will be able to park over and it runs for three days. Very true - but it is not just any ordinary bag! Well worth the 20,000 mile round trip then! That looks very useful as my wast pipes are a pain to keep tidy. My son is going to live in Wellington in December but has to do a trip out before then so I will see if he can get me a couple. The dates have just been announced for the Hamilton motorhome show next year - March 2-4. I hope they are suitable. The right end of the month for us, so we'll see if we can get along there. I think he will like Eastbourne. It is a little bit out of the way but there is a good ferry service across the harbour. He's told me all about the ferry which is about a 10 minute walk from his house, he was there a couple of weeks ago setting up his move and looking at the new the new job. We have looked at the area on goole maps at street level and it reminds me of a Scottish seaside town. The biggest wrench for us is loosing the 3 grandchildren who we have looked after 2/3 days a week for the past 8 years! We have skype and the Xbox 360 which will at least allow us to 'see' them, and who knows we may make the trip, but my wife can't fly at the moment due to claustrophobia but we will be working on it.